Another day another dollar so many say, it’s halfway through the week and I can’t believe I’m going to day it, Christmas is coming, I mean decorations are already up in many supermarkets and if I hear any Bony M or other Christmas music when I visit and I will never set foot in that shop until the Christmas period is over. Today Jazz Rendezvous starts the broadcast day on All Jazz Radio at 10am which is then followed by The Latin Perspective hosted by Tony Vasquez out of Pittsburgh, Pensylvannia showcasing some of the finest Latin jazz available today. At 2pm C.A.T. 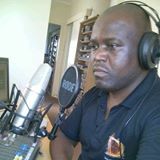 Ndoxy Ndodana Hadebe takes to the air with his show The Midweek Music Mélange where he shares his passion for jazz out of Africa. The Sundown Show rounds out the “live” streaming day and the re-broadcast programming follows until we start the live broadcasts again. All in all another great day to tune in to All Jazz Radio. Did you know that “cacciatore” means “hunter-style” in Italian? This mouthwatering meal emerged in central Italy during the Renaissance period. It is made with chicken, mushrooms, tomatoes, onions, and herbs served over spaghetti. 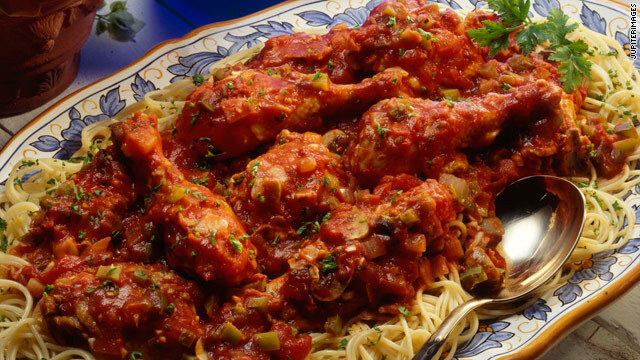 Make this delicious dish to celebrate Chicken Cacciatore Day! Serve it with a green salad and a loaf of garlic bread for a scrumptious and hearty meal your family will love! The Klutz in the Kitchen has found a wonderful Cacciatore recipe for today, check out his page on the AJR site. 1964 – An American treasure died. 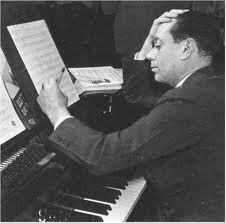 Cole Porter, renowned lyricist and composer, died at age 73. I’ve Got You Under My Skin and hundreds of other classics crossed all musical style and format boundaries throughout his long and rich career. 1988 – Red Red Wine, by UB40, was the first reggae hit to make it to number one in the U.S. From the album Labour of Love, Red Red Wine was #1 for only one week, but turned out to be UB40’s signature song. 1990 – The Separate Amenities Act racially segregating public facilities is repealed by 105 votes to 38 with one abstention in the House of Assembly, and unanimously in the House of Delegates and House of Representatives. 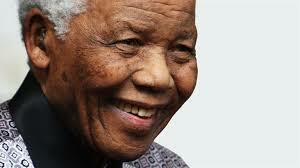 1993 – African National Congress leader Nelson (Rolihlahla) Mandela and South African President F.W. (Frederik Willem) de Klerk were awarded the Nobel Peace Prize for their efforts to usher in reforms that 1) ended South Africa’s era of white minority rule and 2) laid the foundations for democracy. 1994 – REM’s Monster was a monster of an album — #1 in the U.S. The album, featuring What’s the Frequency, Kenneth?, Crush with Eyeliner, King of Comedy, I Don’t Sleep, I Dream, Star 69, Strange Currencies, Tongue, Bang and Blame, I Took Your Name, Let Me In, Circus Envy and You, was number one for two weeks. Info from Top 40 magazine, August 1989 with help from Tertius Louw, February 2001.